Jim Prosser, a native Oregonian, is the proprietor and winemaker of J. K. Carriere Wines, established in 1999 in the Chehalem Mountains. The winery’s name is a combination of his grandfather’s names and represents a covenant he holds with their integrity. 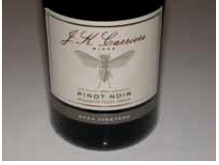 A wasp is prominently displayed on the label and on the side of the winery, because Jim is highly allergic to wasps, and stings nearly killed him on two occasions. He carries an Epi-Pen in a holster on his belt just in case. Jim has an appealing sense of humor that is best understood by viewing the videos he has posted on his website at www.jkcarriere.com. His winemaking experiences in Oregon, New Zealand, Australia and France have energized him with the desire to produce “classic” Pinot Noir that has high acid, smooth tannins, food friendliness and age ability. He uses an analogy to summarize his goal: Pinot Noir is a river of acidity with California on one bank, Oregon in the middle of the river, and Burgundy on the opposite bank. He tries to swim in the river. His wines do not shout at you, but require patience to uncover their subtlety. Jim recommends that his most serious wines be decanted the first three years. He claims the wines will easily age over ten years and I believe him. When I visited, I tasted a 2006 Vespidae that was as alive as the day it was bottled. 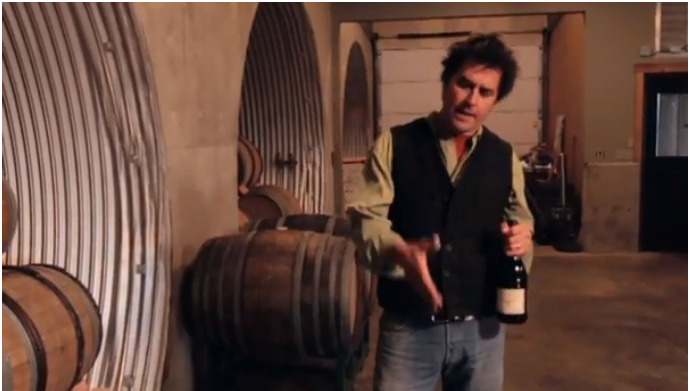 The first ten years, Jim made wine nearby in a 100-year-old hazelnut drying barn. By 2007, he had combed every available site in the Willamette Valley looking for an appropriate property of his own. Jim finally acquired 40 acres of grape-growing land on the southeastern flank of Parrett Mountain. 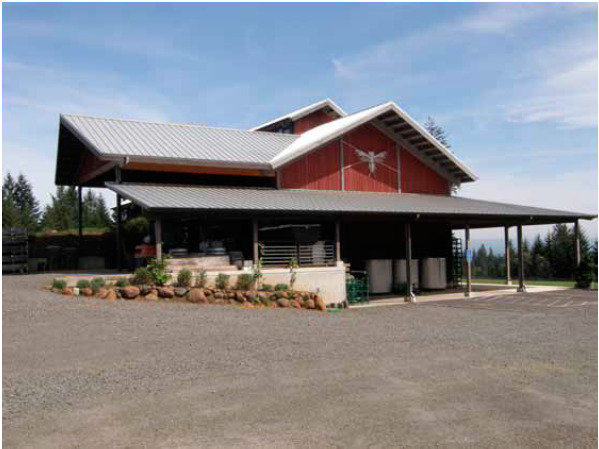 In 2008 and 2009 a very functional winery was built on the vineyard property as pictured above. Winemaking is very traditional with wild yeast ferments, wild malolactic fermentation, no additions, no fining and no filtering. The estate vineyard was planted initially in 2008 to non-irrigated Pommard clone Pinot Noir at an elevation of 500 to 700 feet in largely volcanic soils. Grapes have been sourced from Temperance Hill Vineyard (Eola-Amity Hills), Anderson Family Vineyards (Dundee Hills), Gemini Vineyards (Chehalem Mountains), Shea Vineyards (Yamhill-Carlton), Momtazi Vineyards (McMinnville), Black Walnut Vineyard (Dundee Hills), and Eola Hills Vineyard (Eola-Amity Hills). Some sources are bottled specially in 2 to 3-barrel lots including Shea, Anderson Family and Gemini vineyards. A majority of production is dedicated to wallet-friendly wines in the $26 to $42 bottle range (Willamette Valley blend, Vespidae, and Provocateur). A Lucidité Chardonnay and Glass White Pinot Noir are also offered. Total production is about 4,000 cases annually. The tasting room is located at the winery and is open Friday and Saturday March through November and by appointment at other times. The wines are sold through the winery’s online store and the Twelve Wine Club. Library wines and magnums are available. J.K. Carriere participates in Oregon’s Thanksgiving and Memorial weekend wine country open houses. On Thursday July 24, a pre-IPNC winemaker dinner will be held at J. K. Carriere with Jim and Allison Prosser as hosts. Visit the website for information.